I couldn't wait , so I decided to go ahead and do another rough sketch of the story in mind ! 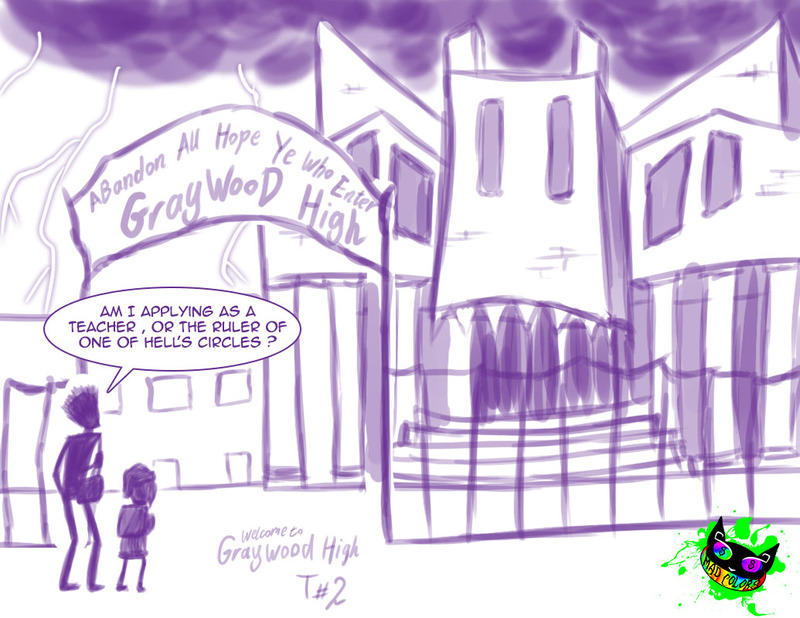 this is Graywood High current design ! ... a place where things go bump in the night ! ... humanity is questioned ! ... the devil walk with pride ! ... the students are suffering every day ! ... there is no justice , no morals , no hope what so ever ! ... and if you're a bad person in there , you get even worse punishment than the good people ! learning is not the biggest issue there ... you might as well learn in there than do anything else ... but there is no guarantee that you wont get hurt or fall into despair ! not to mention the dreadful supernaturals roaming around ! ... they will truly be your hell on earth !